Do you want to be able to really feel every swing, but still take control with a glove that gives you optimum grip? 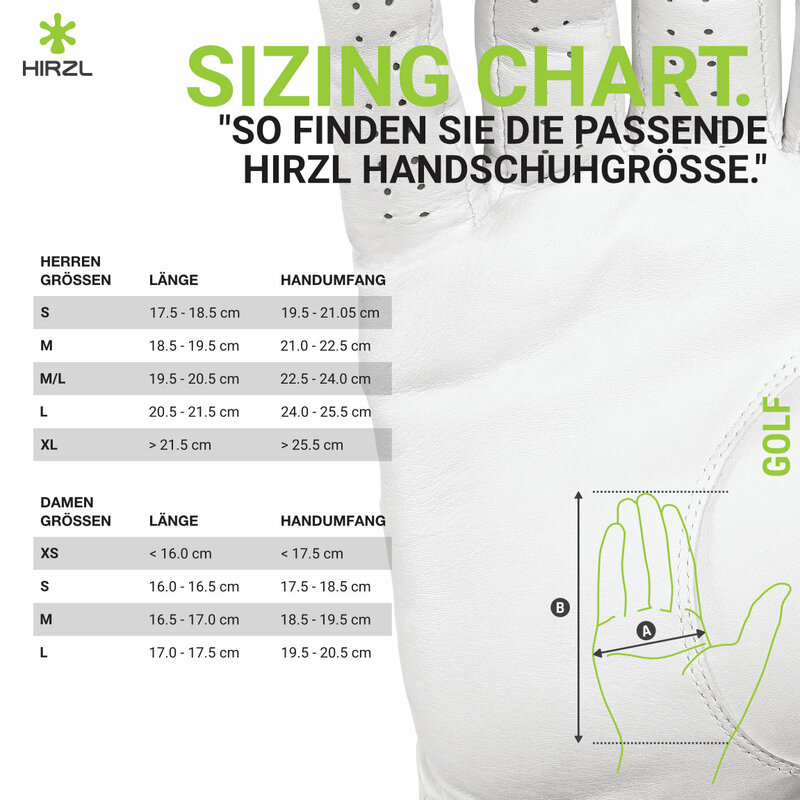 For you HIRZL has created the perfectly balanced CHALLENGER #1 glove – for more feel during your swing without losing control. Next to „Grip & Feel“ this unique all-rounder convinces with its superior athletic tour fit. Thanks to the airtech mesh inserts, placed in consideration of the anatomic structure of the hand, the CHALLENGER #1 fits like a second skin. The highly hydrophobic and resistant Chevretta guarantees a long-lasting joy of play.